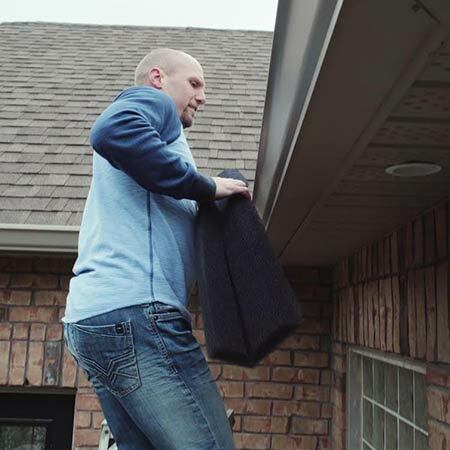 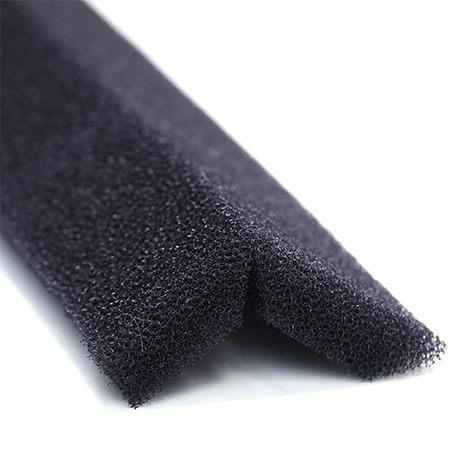 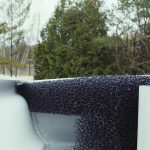 The Polar Bear Eavesdropper foam will protect your eavestroughs from build-up of dirt, leaves, and branches while allowing the continuous flow of water through your drains. 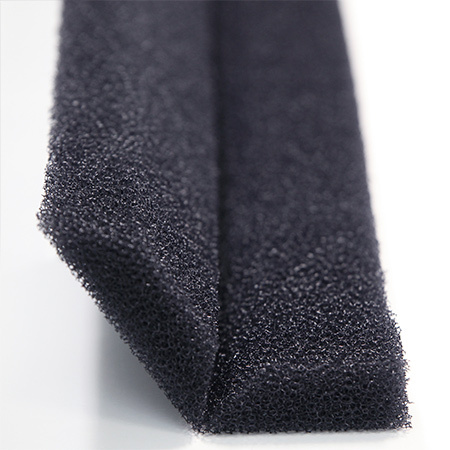 The unique design of the product catches debris on top, while permitting water to easily pass through the foam and down the pipes. 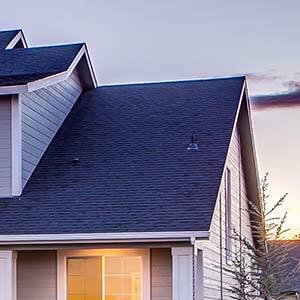 The product fits all makes and models of eavestroughs and is completely invisible from below. Hinge design allow for easier cleaning – no pressure washer needed!